I received a sample size of Smashbox X-Rated Mascara in my May Ipsy Glam Bag and I just had to review it. Created in Smashbox’s L.A. photo studio to be the most buildable mascara, X-Rated Mascara lifts and volumizes lashes with each layer and allows you to customize your bold lash look. The Triple bristle brush allows you to go from dramatic and defined to over-the-top volume. With each swipe, lashes get separated, magnified, and coated with an interlocking fiber formula that never flakes or smudges. The brush was designed with three deep channels to hold the perfect amount of formula for coating lashes, and the three rows of bristles isolate and extend lashes while the Tripod fibers wrap around each lash for amped-up volume. Roll the brush up and out as you work from base to tip of lashes, taking lashes from subtle to obscenely volumized. The brush has a triangular shape or as Smashbox calls it, triangular tripod fibers. The 3 rows of bristles are supposed to isolate, amplify, and extend each lash. It also claims to be smudge, flake, and clump-resistant for up to 12 hours. I loved the length and how my lashes were fanned out and not clumped together. 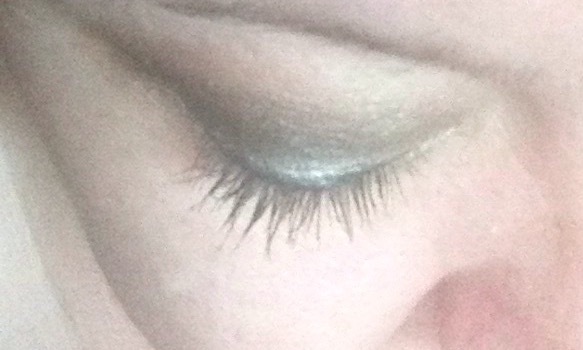 It did give my lashes some volume but I wouldn’t say it was “amped-up” volume. The one thing I really liked about the X-Rated Mascara, with each coat, it continues to build the length of your lashes but doesn’t clump them. This mascara has good staying power, I’m not sure about 12 hours but it definitely lasted during the work day. I did find the more coats I applied, my lashes would get those little balls on the tips and it would flake more throughout the day. I usually stuck with 3 coats. 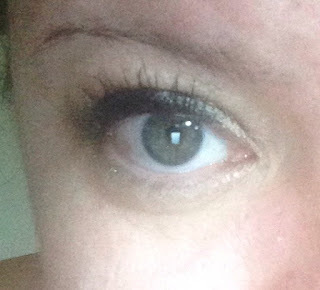 Because I have teary eyes, I did noticed spots below my eyes after a few hours, but I get that with all mascaras. I received the sample size but I love the packaging of the full sized X-Rated Mascara, it has a rectangular shape with a twisted center - it’s quite a unique look! Smashbox X-Rated Mascara retails for $25 CAD and can be purchased from Shoppers Drug Mart, Murale and Sephora.